You may occasionally find one marked down to $499 or so, but otherwise $529 is your barrier to entry for a modern dual-core laptop. 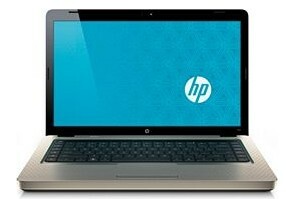 The HP G62-225DX carries that price, as does the Asus K501J-BBZ5 and the Dell Inspiron iM501R-1212PBL. Poor battery life and a stiff mouse button sour the deal for the otherwise attractive and affordable HP G62-225DX.